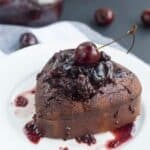 Flourless chocolate almond cake – treat the one you love to this decadent dairy free chocolate cake made from almond meal topped with cherry sauce. In case you haven’t noticed already I’ve started adding a few more cake recipes to the blog. Like this pumpkin spice cake and this almond based recipe Jamaican toto (coconut cake) or even this vegan chocolate orange cake It came to my attention while browsing through the category section that I was in dire need of replenishing the bakery section. Speaking of cakes, my co-worker lent me an awesome dessert book, filled with many innovative recipes. I do like to carry my baked goods to work for people to sample, one co-worker in particular constantly conveys subtle hints during our causal conversations. In fact, she lent me her mini dessert book and she blatantly asked me to make a few of the cakes from the book. 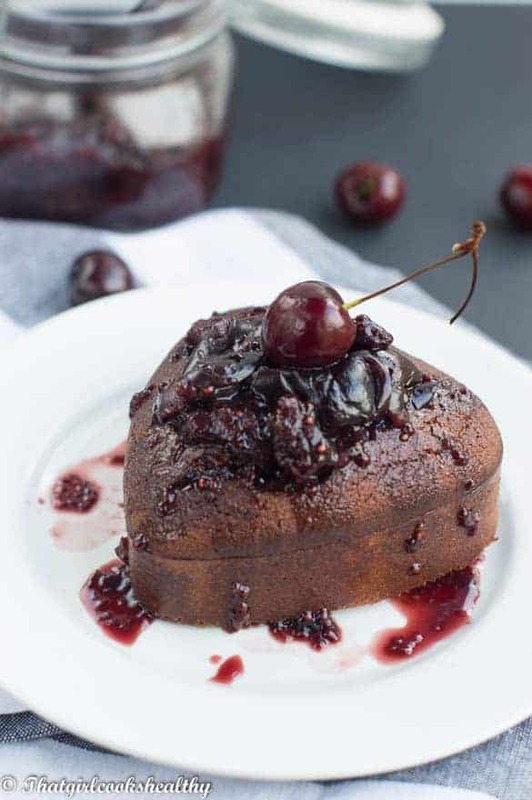 Although this flourless chocolate almond cake wasn’t a rendition of what was featured in the book, I do hope to draw some inspiration from it in due time. For me baking a cake usually consists of everyone else reaping the benefits while chef Charla gets none, not that I’m complaining. True be told I’m not a cake or dessert fan, heck, caking baking is probably my weakness. Prior to blogging I hardly ate cakes and desserts which explains why I didn’t really bother with them – weird I know. My mother on the other hand, she loved to baked cakes all the time and now I am slowly following in her foot steps. Ground almonds are the contemporary flour to the gluten free world. 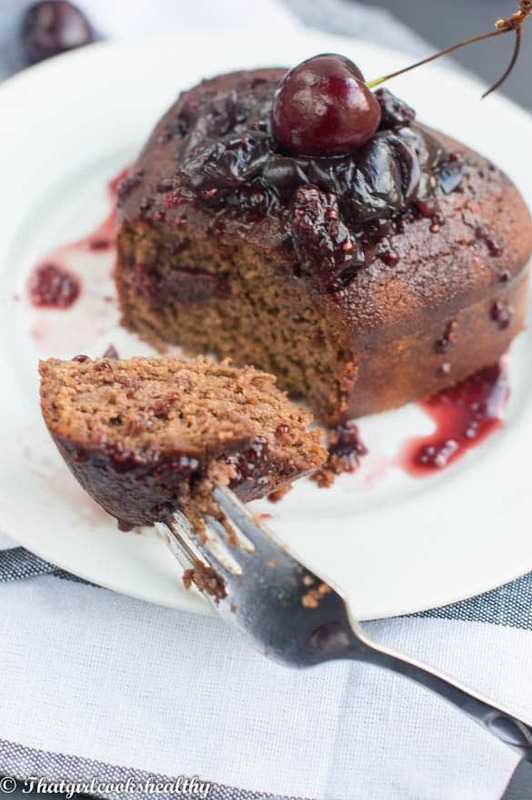 Right now ground almonds are featured in many cake recipes and it’s not surprising since it makes an excellent healthy replica of processed flour. I’m highly impressed with its versatility and structure – sturdy and fool proof (texture wise). My initial usage of ground almonds was a catastrophic failure as I tried to supercede an equal ratio of what would be white flour with almonds. Now I’m slowly coming to understand that with some fine tuning I can yield some outstanding results, saving my readers some of the frustration that I once faced. Throw some raw cacao in with the ground almonds and BAM, hello chocolate flourless cake, well almost, not forgetting the other ingredients. As you can see from the pictures I used a nifty heart shaped spring form cake tin to coincide with valentines day. Use one if you have one to hand, if not a regular spring form or a mini tin will suffice. 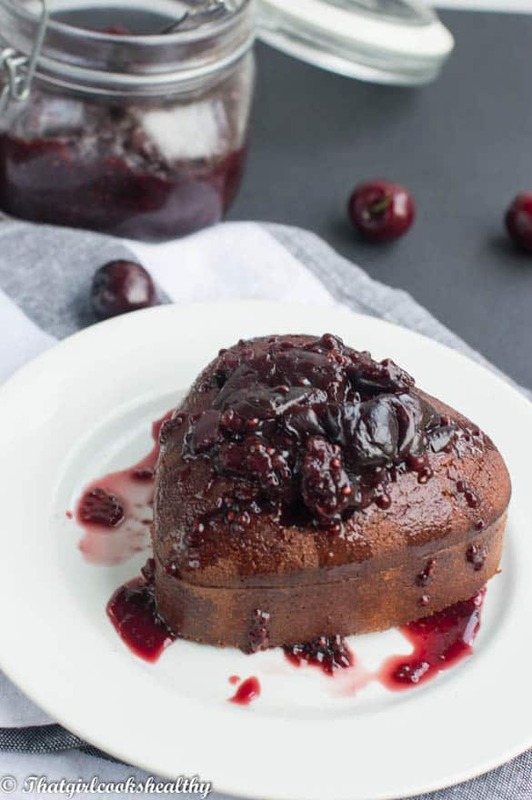 I’m telling you, you won’t be disappoint with this cake, the texture is soft and topped with a sweet heavenly cherry glaze. Preheat the oven at 350 degrees or gas mark 4. Add the dry ingredients to a large mixing bowl and set side. Meanwhile, add the eggs, vanilla, milk and oil to another bowl and beat the wet ingredients together. Pour the liquid mixture into the dry bowl and mix into a smooth batter either by hand or with an electric mixer. Next, pour the batter into a spring form cake tin of your choice. I used a very small heart shaped tin, try to use something of the same size to mirror approximate cooking time. Place the tin in the oven and bake the cake for 25-30 minutes. Readiness will vary accordingly to the size and shape of the tin used. Determine if the cake is thoroughly baked by inserting a skewer, if it comes out clean it’s done. Remove from oven and set aside to cool. 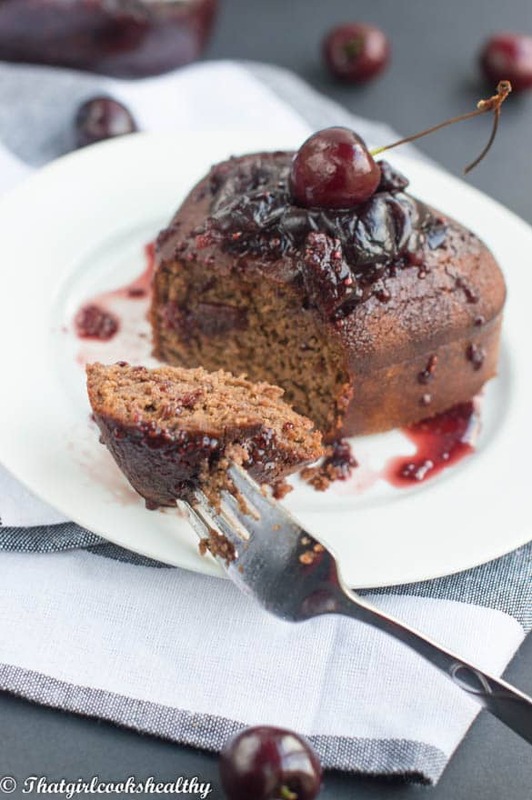 Release the cake from the tin and top with sweet cherry sauce. 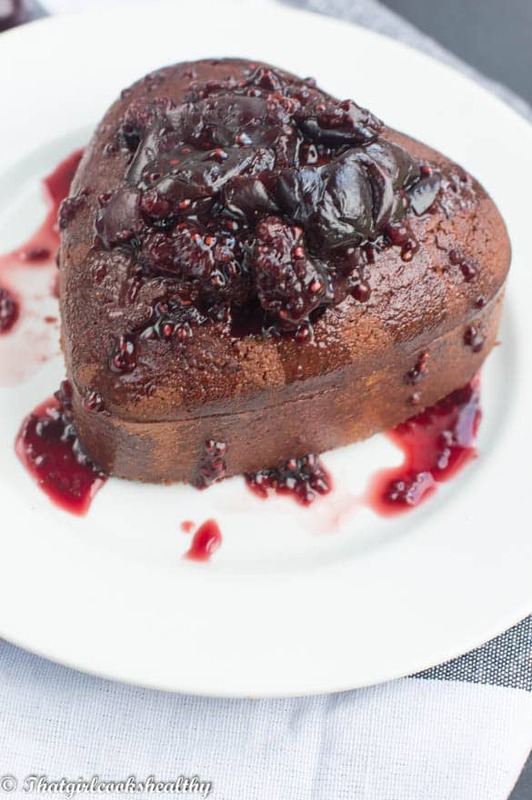 Eat immediately or store leftover cake in an airtight container or freezer to extend shelf life. That cake really looks delicious!